I am so excited for this day, you guys. So excited! You might, understandably, be wondering what is so special about this day. 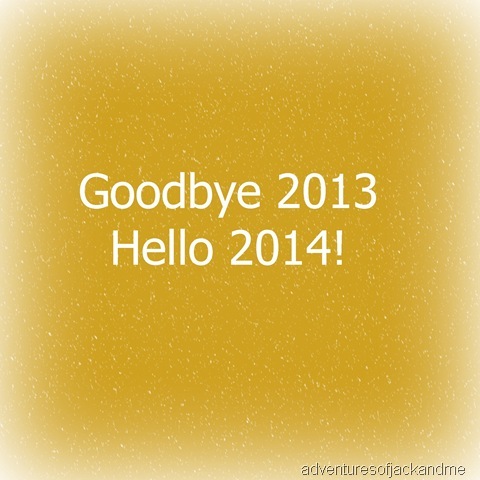 Well, today is the LAST DAY OF 2013!! I am pretty excited to see this day arrive. If you know us or have been reading this blog for awhile, it’s no secret that this has been a hard year. In fact, the worst year of my life. Don’t get me wrong — there have been some precious and dear moments and things about this year. Parts of this year I treasure deep in my heart and will always cling to. This year will always be monumental for me. Holding a huge place in our family as the year of Gabriel. And I treasure that so.very.much. But I can’t cling to what has happened and what is reality. We are at peace with Gabriel in Heaven and clinging to this year won’t do anything to change our lives. So it is with a crazy waving hand and arm that I wave goodbye to 2013! I have great hope for what is to come in 2014. My expectations are high and my dreams are growing again. After such a bad year in 2013, we are ready and very expectant about the year that is to come. So, out with the old and in with the new!